Tableau 9.1 is now available in beta. Heads up, IT, this release has a lot in it for you. Tableau 9.1 includes new enterprise capabilities like Mutual SSL, Active Directory Sync, and expanded SAP support. In addition, we are testing our new iPad app, Tableau Desktop improvements, and a web data connector feature that allows you to write your own connector. This is a big milestone in our development cycle, and we can’t wait for your feedback. 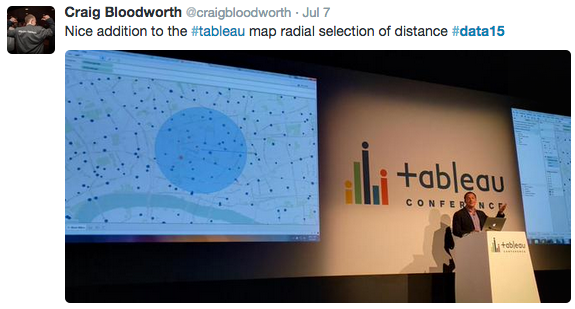 We showed Tableau 9.1 for the first time earlier this week at Tableau Conference London, and the reaction was fantastic. When Will Tableau 9.1 be Out? We have a timeline for getting 9.1 out the door, but we’d first like to get solid usage in beta and fix critical bugs. We want your feedback as early as possible to catch any issues and ensure the new features are great. Want to Join the Beta? If you want to try the beta, contact your Tableau sales rep. The beta program is available for existing Tableau customers. Customers with an active maintenance license can upgrade for free when Tableau 9.1 is released. Follow the blog for more news about Tableau 9.1, including an in-depth look at the web data connector, new enterprise capabilities, and the iPad app. What are the expanded SAP support? Really curious to hear more about the Web Data Connector! I just ran through a test upgrade of Tableau Server 9.0.4 to 9.1 Beta 3 and it went flawlessly. Two backend capabilities in Server 9.1 that my clients are looking forward to: SAML logout and scheduled AD syncing! How the data connector works...?